SKU: AT003. Category: FastCoat™ Antithrombotic Coating Kit. This kit is sterile and very easy to use. Just for 24 hours of coating process, your device will obtain excellent blood compatibility. 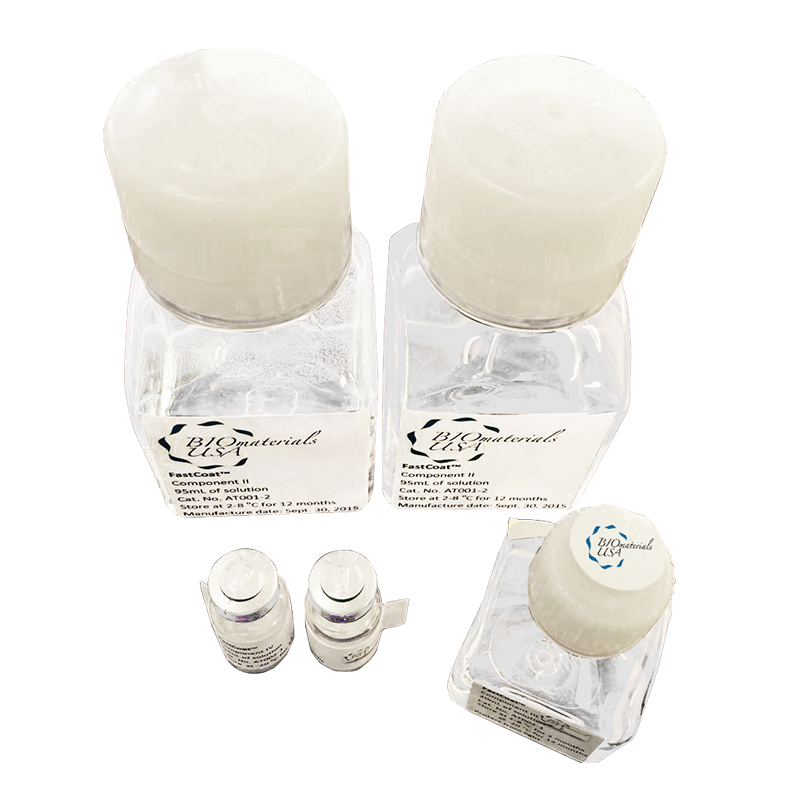 This kit can be used to coat any material surface which require direct blood contact. This durable coating will prevent clotting formation. Very simple coating procedure. Apply Prime component for ~10 hours, then apply antithrombotic component for 12 hours. Then wash 3 times with sterile saline (not provided in the kit). This complete coating kit include a prime agent and an antithrombotic agent. You may use to coat 20 meters of one quarter inch ID tubes.